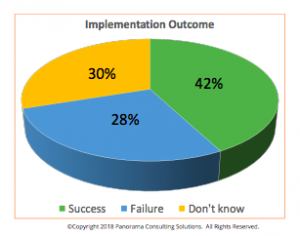 Panorama has published its latest report summarising almost 300 ERP implementations around the world across manufacturing, retail and distribution, construction and other industry verticals and, long story short, all is not well in ERP-implementation land. Simply put, while cloud implementations are (radically) on the rise, they’re also more expensive, taking longer and aren’t always unfolding as smoothly as managers would like. Before reading on, one caveat: “The average company in our sample generates US$439 million in annual revenue, with a majority of organisations based in North America.” That’s a sample of some pretty well-established, prettty US-centric businesses, so local SMEs, apply the following wisdom with care. This year saw SaaS and cloud deployments increasing to 85 percent, compared to 15 percent on-premise deployments – a significant increase on last year’s figures which showed less than 50 percent of organisations deploying cloud and SaaS solutions. Panorama thanks ERP vendors for the big swing, as they push SAP S4/HANA, Oracle Cloud, and Microsoft Dynamics 365 aggressively. Bygone years show “all-in” ERP implementation costs of between four and five percent of a company’s annual revenue. That number has shrunk to just 3.6 percent this year, but may not be the cost saving it at first seems. “While this may sound positive on the surface, it actually reveals a flaw in our data: since most deployments are cloud solutions, initial costs are naturally going to be lower,” says Panorama. 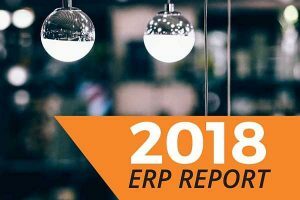 According to Panorama’s research, the total average duration of ERP implementations increased from 16.9 to 17.4 months – not much to worry about in itself, however total implementations that took longer than expected increased from 59 percent to 79 percent. According to Panorama, operational disruptions saw a similar increase. 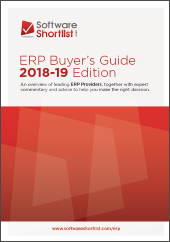 It appears there are some unrealistic expectations around the deployment and management of ERP solutions: Satisfaction with their overall implementations plummeted from 81 percent to 42 percent – even while customer satisfaction with their chosen and implemented ERP software in general increased to 68 percent. 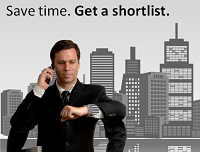 The top reason projects take longer or cost more than expected? According to the report, a lack of “organisational change management”. The download link to the report is here (although it currently appears to be broken). Luckily, you can still check out this excellent 50 minute breakdown of the report’s key elements.